Last week I posted several updates from Jamaica where I attended the Annual Gathering of the Baptist World Alliance (BWA). During my time on the island nation I wrote two articles for Ethics Daily (here and here) and wrote daily posts with photos (here, here, here, here, here, and here). Others have also put together news, photos, and videos from the gathering of the global Baptist family. Ethics Daily created an album of photos I took. Additionally, Robert Parham shot several videos for Ethics Daily that include some interesting discussions ranging from Middle Eastern issues to environmental concerns to church leadership. You can watch the videos here, here, here, here, here, and here. The BWA issued several short pieces with updates from the meeting, all of which can be read here. The BWA also put together a photo album, which includes a photo of me speaking at the Communications Training Seminar (the photo in this post is that one) and a group photo of everyone at the day-long seminar at Ocho Rios Baptist Church (and I am in the crowd in a couple of shots). 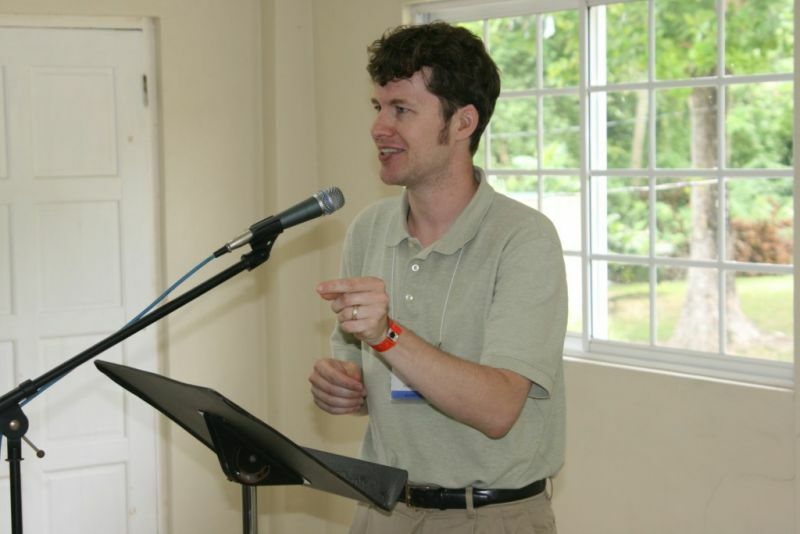 Tony Cartledge, a Contributing Editor for Baptists Today who chairs the BWA's Communication Advisory Committee that I serve on, wrote some good blog posts with photos (here, here, here, and here). Additionally, a couple of Jamaican sources covered the gathering. OPM Communications (the communications arm of the Jamaican Office of the Prime Minister) issued a piece featuring the Prime Minister's comments that a Member of Parliament read at a welcome event for the BWA. And the Jamaica Observer covered the BWA's presence in an article. It is good to see coverage of the gathering of more than 400 Baptists from more than 40 nations.